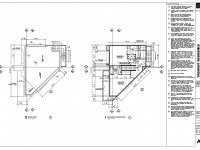 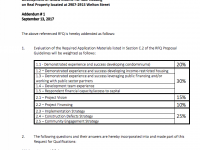 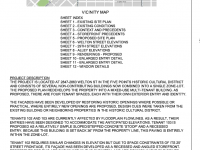 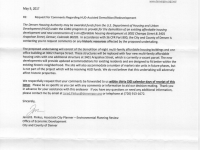 Request for Comments Regarding HUD- Assisted Demolition/Redevelopment at 3002 Champa and 3401 Arapahoe Street Date: 9 May 2017 read City of Denver letter and envelope Deadline: 5 May 2017 Contact: City of Denver Office of Economic Development Source: City of Denver Letter 9 May 2017. 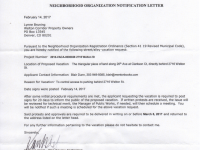 Vacate Notice: 2716 Welton City Council Ordinance 17-0470 Date: 14 February 2017 read City of Denver letter and supporting document PDFs Deadline: 3 March 2017 Contact:City of Denver Department of Public Works Source: City of Denver letter 14 February 2017. 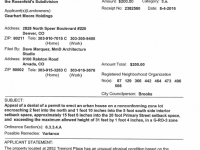 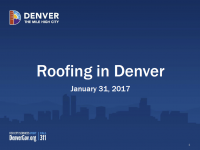 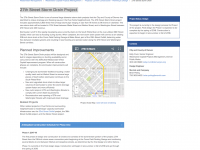 Roofing in Denver Slideshow date: 31 Janaury 2017 view the entire slideshow view roofing guide and checklist PDF Contact: City of Denver source: City of Denver 31 January 2017.